Freedmen’s Bureau Transcription Project Completed! On December 6th, Alison Barnes, the Corresponding Secretary of the Afro-American Historical and Genealogical Society (AAHGS), sent the following email to members of that organization who have been transcribing the records of the Bureau of Refugees, Freedmen, and Abandoned Lands (the Freedmen’s Bureau) for the past 18 months. Thank you for all your hard work on the Freedmen’s Bureau Project. Together, AAHGS members were part of making history and contributed to the 100% completion of indexing the Freedmen’s Bureau Project. The database is now a permanent part of the Genealogy Exhibit at the Smithsonian’s National Museum of African American History and Culture (NMAAHC) in Washington, D.C. Tomorrow, December 6th, 2016, marks the culmination of the project. At 9AM EST the indexed Freedmen’s Bureau Records was formally presented to NMAAHC. Go to http://www.discoverfreedmen.org to watch the recorded celebration. The members of CVGA congratulate the members of the AAHGS on the successful completion of this project. It is a noteworthy achievement and will make these records available to genealogists and historians alike. 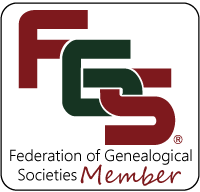 This entry was posted in Events, Research and tagged AAHGS, Afro-American Historical and Genealogical Society, Freedmen's Bureau by cvgaboard. Bookmark the permalink.